Most of us have heard the term “killing two birds with one stone.” The premise, to accomplish two goals with a single act, is one to which Julie Baker has dedicated her life. As president of Healing Arenas in Modesto, Calif., Baker helps Thoroughbreds make the transition from racing to their second careers, and in doing so, also helps people overcome their own obstacles in life. Healing Arenas uses the Equine Assisted Growth and Learning Association's (EAGALA) approach to addressing mental health and development needs in people through their interactions with horses. Clients are given a task to accomplish with the horse, then are given the space and time to navigate the completion of that task. Participants gain insight into their approach to problem-solving and become more conscious of how they are communicating through body language, vocal inflections and more. Click here to watch a brief video on the premise behind EAGALA. In addition to the psychotherapy work they offer to their human clients, they also work to retrain and adopt out retired racehorses into second careers. 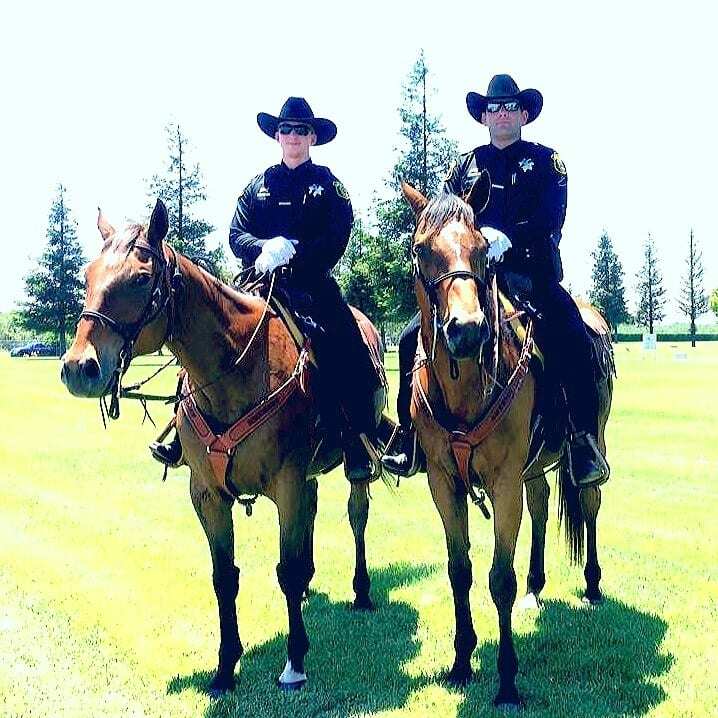 An area of particular focus for Baker and her team has become retraining Thoroughbreds to be police horses and adopting them out to local law enforcement agencies. Many of the horses they've placed in law enforcement roles have come from the Thoroughbred Retirement Foundation (TRF). Other police horses Healing Arenas has adopted out include Get Out Happy and Jimmy Diesel, both horses that came from TRF herds and now serve as law enforcement mounts. Baker got her start with Thoroughbreds in the 1980s, exercise riding at the racetrack before earning her way up the career ladder as an assistant trainer for Mark Couto and later William J. Morey Racing. While her career transitioned from working with horses on the track to helping them learn new skills after they're done racing, she hasn't forgotten her roots and maintains her assistant trainer's license with the California Horse Racing Board and works part time for trainer Manuel Badilla. In addition to her on-the-track work with racehorses and retraining them for second careers, as well as her certification with EAGALA, Baker also works as an Emergency Medical Technician (EMT). The combination of skills makes her well-suited to operate a facility like Healing Arenas. Often, the work done by the Healing Arenas staff and clients to address mental health or skill-building utilizes the horses they're preparing for law enforcement and other disciplines. With horses now coming primarily straight from the racetrack rather than the TRF herd (and, as a result, much younger when they arrive), Healing Arenas is depending more and more on partner farms to foster the horses during the letdown process before they can be handled by lay people. This year, they've also decided to train one of their horses to compete in the Retired Racehorse Project's Thoroughbred Makeover, hoping to attract more attention for their mission. This entry was posted in Aftercare Spotlight, Horse Care, NL List and tagged Aftercare Spotlight, Cosequin Presents Aftercare Spotlight, Healing Arenas, Jen Roytz, Thoroughbred aftercare, thoroughbred retirement, thoroughbred retirement foundation by Jen Roytz. Bookmark the permalink.